The strangest feeling came over me as I watched the opening scenes of the Doctor Who series 7 premiere, “Asylum of the Daleks”. I realised that I hardly know this programme anymore. I have spent the last several months avoiding anything to do with Doctor Who because every time I read a nasty spoilery Doctor Who spoiler, I want to commit homicide. You’d think that a show that formed a massive storyline around River Song not divulging spoilers to the Doctor would have taken care not to leak the imminent departure of two of our most beloved characters two weeks before the 2011 Christmas Special. (I’m not going to link to that, just in case you’re still blissfully unaware). It is safe to say, therefore, that I am torn, somewhat estranged from my Favourite Show of All Time™. That’s not the reason why I watched the season opener so late, that had to do with some glorious sea, sun and sand time on the beach. But I entered series 7 with a definite lack of feeling. That lasted all of 3 minutes, 37 seconds. Now on to the non-spoiler part of the review (the spoilery part will be clearly marked below). Lots of them. That’s not really a spoiler, unless you thought the title of the episode was a metaphor. The episode begins on Planet Skaro, moves to the Dalek Parliament and finally to the Asylum of the Daleks. I watched the entire episode through my fingers and felt like an 8-year-old again. It was good. There was lots of Rory and Amy Pond. Their relationship reaches a level I thought impossible but as always, I loved every minute they were on screen. I love Rory and Amy, I adore them both and this episode definitely marked a significant turning point for them with great developments in their relationship. There was a lot of The Doctor. He’s kind of awesome and it’s kind of his show, like, so he gets two photos. And there was a fabulous turn by guest star Jenna-Louise Coleman in her role as Oswin. I really liked her character and I just loved her storyline from the soufflé to the brilliance to the shattering and shocking conclusion. “Asylum of the Daleks” sees The Doctor coming back from the dead and reunited with Mr and Mrs Pond in a most unusual plot involving the Daleks. 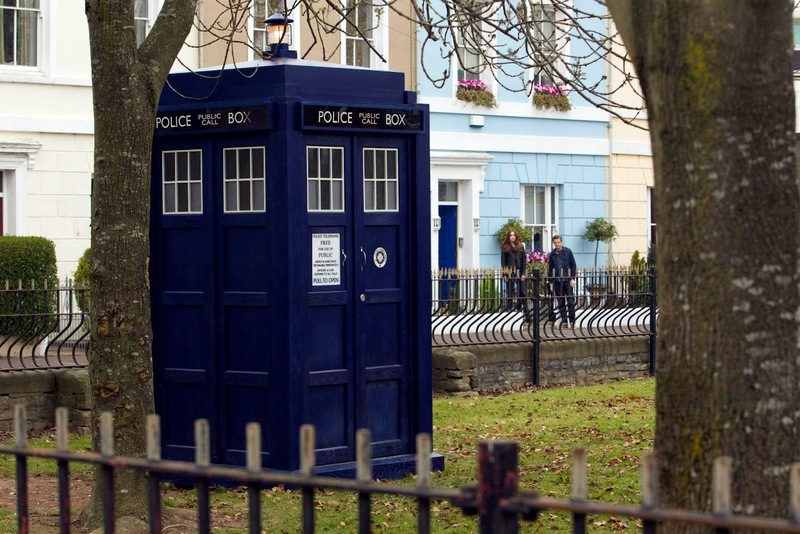 It is written by Steven Moffat and is the first of five episodes that we will see to September 29 before the show goes on hiatus until after the Christmas Special. I loved most of this episode. I loved the Daleks, both the charred remains on Skaro, the needy weasels at the Parliament, and the unbalanced, psychotic specimens of the Asylum. They were scarier than ever in that the Asylum Daleks were truly unpredictable and that made them all the more dangerous. I really loved the line about how the Daleks love hate and that is why they have never killed the Doctor because to them, he is hate. It was truly sad that Amy and Rory were at the brink of divorce at the beginning of the relationship but I love how they worked through their feelings regarding how Rory still wants Amy despite her not being able to have children. I loved the low-budget, classic Doctor Who feel to this episode. It was a welcome return to dodgy sets and shaky special effects although I have no doubt it was in fact pretty hi-tech and cost a bomb. I loved Oswin. I knew that Jenna-Louise Coleman is the new companion so I absolutely expected the Doctor to save her at the end of the episode. I really did not expect her to become a Dalek – it was both shattering and spectacular. I really did not like that Oswin cleared the Dalek’s memory of The Doctor. Everything he ever did, since The Daleks first aired in 1963 was to make an example of the Daleks, to have them know him, fear him and remember his power should they step out of line. I didn’t hate it but it made me really uncomfortable that Steven Moffat has conveniently written the memory of The Doctor out of the Daleks’ collective recall. I’m not even going to attempt to work out how that messes with the timeline and previous (i.e. future-based) Dalek storylines. Hate is such a strong word, isn’t it just? I hate that I know that Arthur Darvill and Karen Gillan are leaving the show, that they will be killed off in episode 5, “The Angels Take Manhattan”. I hate that I know that Jenna-Louise Coleman is the new companion. It just irritates me. Why can’t there be any surprises? Why can’t they guard the Doctor Who plots as well as the actual airing dates. Quite apart from spoilers, I hate that they are leaving. We were lead to believe that we’d have Matt Smith and Karen Gillan for a good couple of seasons (do not point out the actual mathematics to me or the fault in my logic, you’ll make me sad). Why is Karen leaving now? 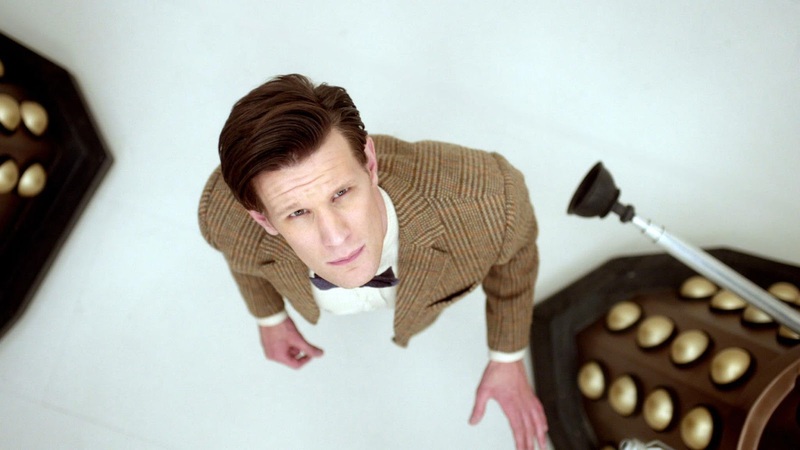 I think that The Doctor is going to go back in time to rescue Oswin before she lands up crash-landing on the Asylum. Of course, they’ll write in something logical and irritating and heart-breaking with respect to that being a fixed point in time and Oswin has to die anyway but whatever. Assuming that the writers’ didn’t completely lose the plot by erasing the Daleks’ collective memory of The Doctor, I think that is really going to come back to bite them and the Daleks are going to declare war on the universe and go truly ballistic. It’s been a while since we’ve actually had an all-out war, at least half a season. Five more sleeps until “Dinosaurs on a Spaceship” starring the yummy Rupert Graves and featuring none other than Nefertiti. * Oswin. She was mesmerising. Plus, her story was heartbreaking. 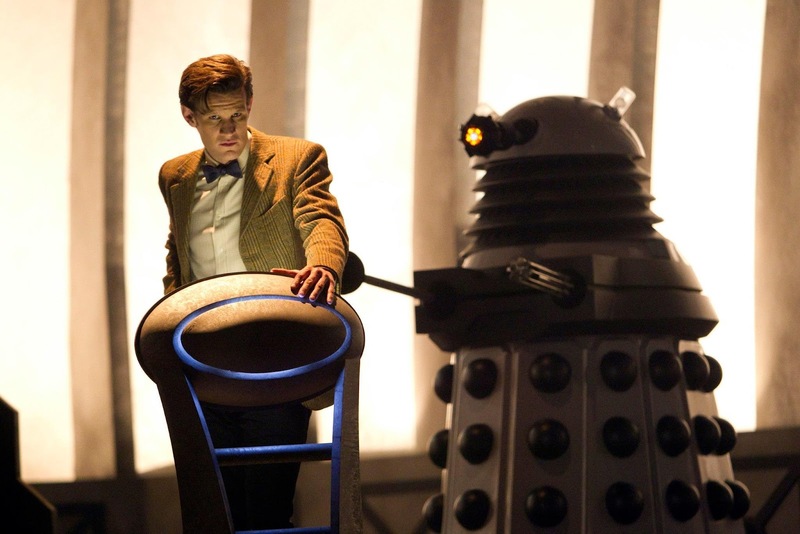 * How the Doctor deals with the self-destructing Dalek. * The "Doctor Who?" moment. * Rory had a lot of good lines. "How much trouble are we in?" and "What colour?" were fine moments for him. 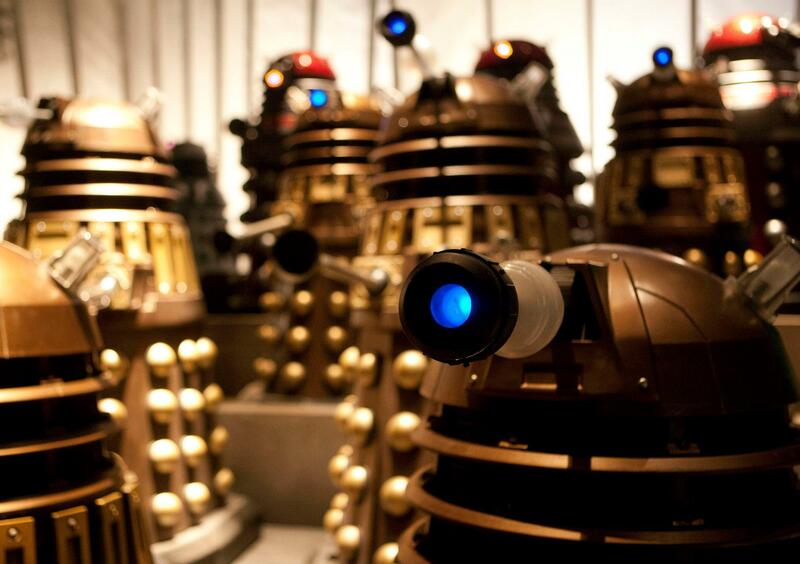 * The idea of Dalek eyestalks protruding from human heads - eerie, but clever. I absolutely agree Ben! 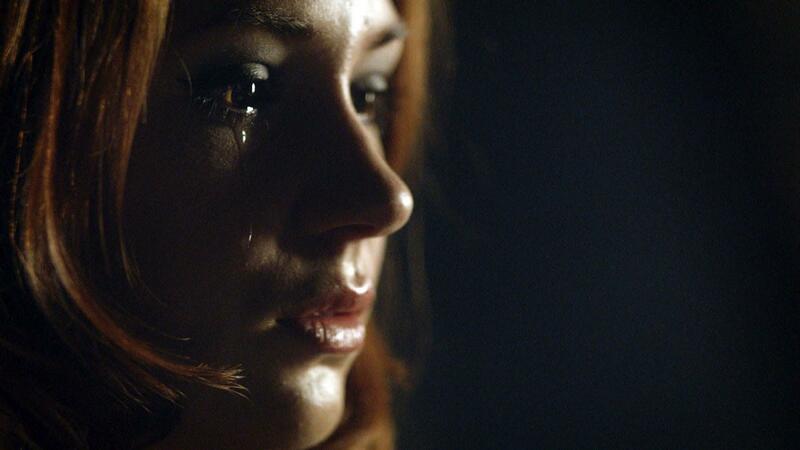 This episode was definitely memorable and we're obviously going to come back to it if we're going to get Oswin back. Travesty! Power cuts should be outlawed on Doctor Who nights! I personally have just cancelled all plans on Saturday night to ensure that I'm at home to watch the next episode. In my defense, I was being horribly messed about in the first place.